Nice Guys is a Mystery Suspense Gay Romance Trilogy by Kindle Alexander and is intended for adult readers 18+. I really think you should read this series in order. Each book contains a love story but also a mystery/investigation that continues with each book. Double Full is the story of Colt Michaels (College football star) and Jace Montgomery (Cheerleader.) The two meet in college and fall in love but obstacles are thrown in their way to force them apart. Ten years later Colt is the star quarterback for a NY team and Jace built an all-star cheerleading gym in Texas. Major changes in their lives throw them back together but tragedy strikes by way of an accident causing Colt and Jace to make some changes in their future. Colt’s team doctor calls in his son, Deputy US Marshal Mitch Knox, to look into Colts recent accident. The Marshal discovers similar incidences where gay men were killed or hurt in sever accidents but will Knox be able to convince his superiors to let him open an investigation? From the moment I started the book, I fell in love with both characters. It was heartbreaking to watch Colt make the decision he needed to make but I think his decision really pushed Jace to follow his dreams. When they finally got back together, it was wonderful watching Jace open up to Colt again and watching Colt change into the man he always wanted to be. Full Disclosure picks up where Double Full leaves off and is the story of Deputy US Marshal Mitch Knox and Texas State Trooper Cody Turner. This is where the investigation into the deaths and accidents really takes off due to the son of a senator becoming a victim. Knox ends up having to work with the FBI and he’s really not happy about that. He is so not a suit and tie kind of guy. It is extremely entertaining to watch Mitch deal with the stuffy FBI agents he works with them. Mitch’s partner, Deputy US Marshal Kreed Sinacola, joins the investigation. Colt and Jace make an appearance and it’s so great to see them again. They take Mitch out drinking and dancing and that’s where Mitch meets Cody. One night with Cody and it changes Mitch’s life. They try to make a long distance relationship work, Cody gets stuck in the crossfire of the investigation but don’t worry, there is still a happily ever after for them. Keep reading and jump right into Book 3, Full Domain. Full Domain is the final book in this trilogy and is the story of US Marshal Kreed Sinacola and Aaron Stuart, Young Computer Geek who works for the National Security Agency, joins Kreed and the FBI to infiltrate the group they think is responsible for the attacks. Kreed has had a soft spot for Aaron the moment they meet through skype and has been trying to get into Aarons pants since the first met face to face at the airport. The chemistry between these two is off the charts and it was an absolute joy to read the interaction between the two. The investigation wraps up in this book and all the guys are involved. It’s really like one big story all rolled into three books with this cast of characters becoming family. I really enjoyed Kindle’s writing and her characters and I look forward to reading more of her work. 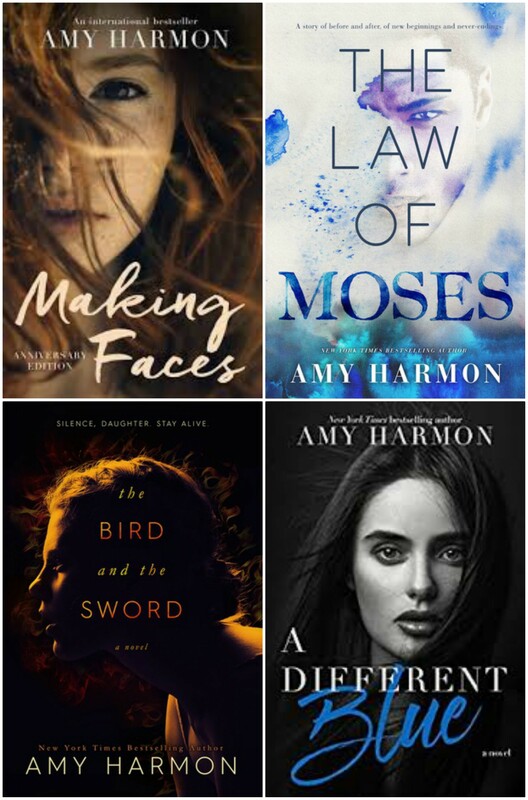 If you love a great mystery, strong men making the world a better place and romance with a happily ever after, then definitely pick up these books. “Up and coming football hero, Colt Michaels, makes a Hail Mary pass one night in the college locker room that results in the hottest, sexiest five days of his young life. However, interference after the play has him hiding his past and burying his future in the bottom of a bottle. While Colt seems to have it all, looks can be deceiving especially when you’re trapped so far in a closet that you can’t see your way out. When ten years of living his expected fast-lane lifestyle lands him engaged to his manipulative Russian supermodel girlfriend, he decides it’s time to call a new play. “Deputy United States Marshal Mitch Knox apprehends fugitives for a living. His calm, cool, collected attitude and devastatingly handsome good looks earn him a well-deserved bad boy reputation, both in the field and out. While away on an assignment, he blows off some steam at a notorious Dallas nightclub. Solving the case that has plagued him for months takes a sudden backseat to finding out all there is to know about the gorgeous, shy blond sitting alone at the bar. Texas State Trooper Cody Turner is moving up the ranks, well on his way to his dream of being a Texas Ranger. While on a two-week mandatory vacation, he plans to relax and help out on his family’s farm. Mitch is the last distraction Cody needs, but the tatted up temptation that walks into the bar and steals his baseball cap is too hard to ignore. “Honor, integrity, and loyalty are how Deputy US Marshal Kreed Sinacola lives his life. A former SEAL now employed by the Special Operations Group of the US Marshal Service, Kreed spent most of his life working covert operations and avoiding relationships. Never one to mix business with pleasure, his boundaries blur and his convictions are put to the test when he finally comes face-to-face with the hot computer geek he’s been partnered with. Hell-bent on closing the ongoing case for his longtime friend, he pushes past his own limits and uncovers more than he expects. Thank you for the great review! Big hugs!! !